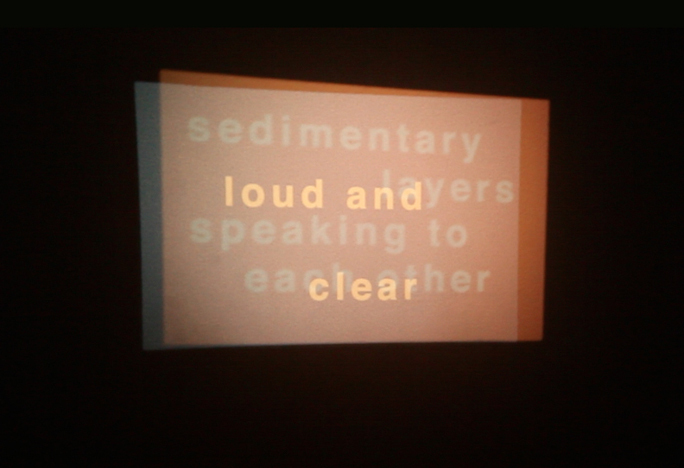 first performed at the Poetry Project at St. Marks Church, this work is a language-based short film composed on two slide projectors. 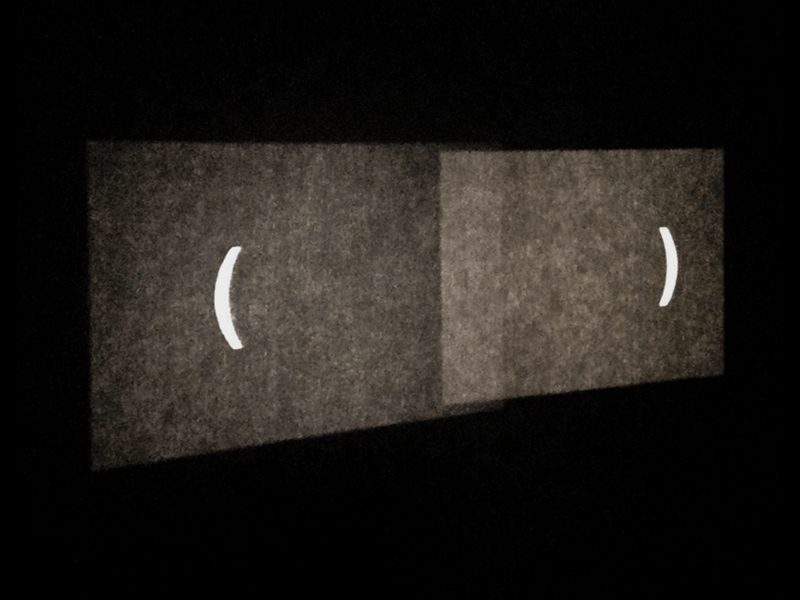 held by punctuation, signals from two lighthouses begin to sequence. 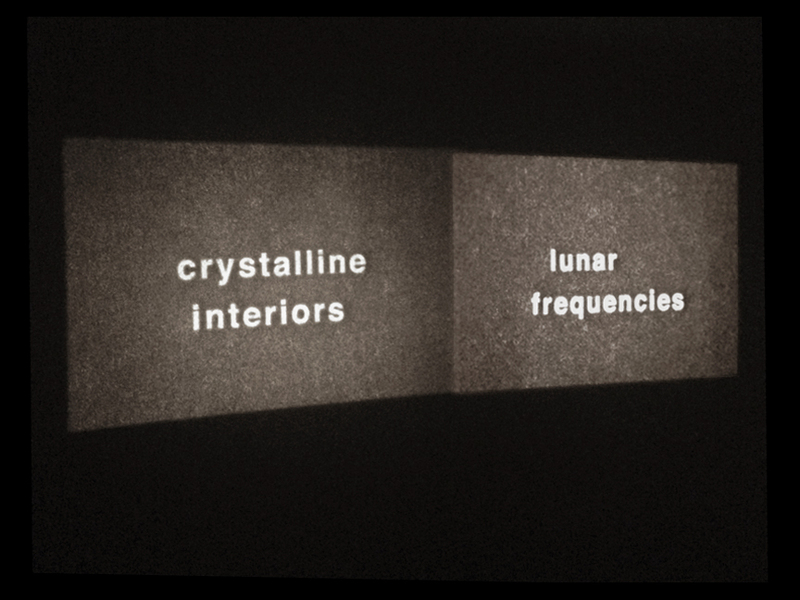 from left to right, the projections communicate through call and response, buoyantly searching, locating each other in a shared space of reading. begins a story by Marguerite Duras. the setting is lit. words repeat to illuminate far away places: a blank screen, a mountain, daybreak over the water. to enter into a collective film. from one to another. by way of. at times. and so. performed at Carousel and REVERSE in Brooklyn, NY.